Lots of exciting editing taking place! To create a weekly news video featuring a news report including school awards, weather, interviews and other suggestions to be posted on the main reception TV as well as on the school website. There are to be 20 places available, with the first 10 reserved for year 6, another 6 places for year 5, and 4 places for year 4. The club will take place on a Thursday (subject to change). 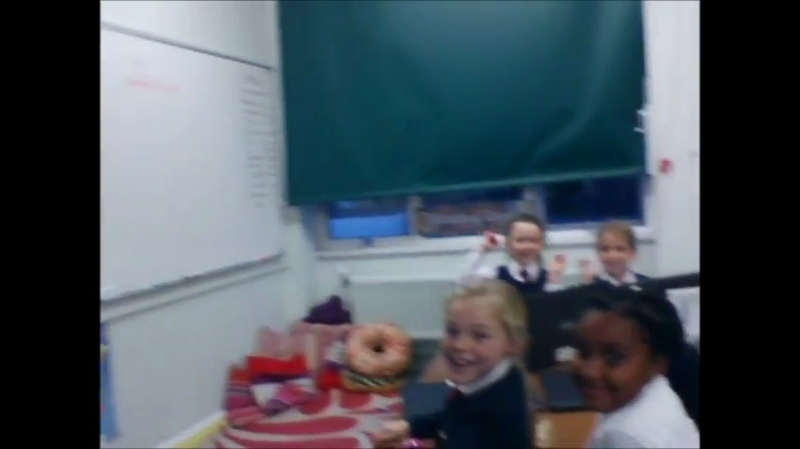 The children will learn how to film (using various devices), record sound, transfer recordings to a computer, edit using a range of software, work as a team to create content using skills in Computing, English and Art/DT. Learning how to conduct an interview, both in asking and answering questions, what information is important to a viewer, and being creative in how this is shown. These are skills that will be acquired during this club. The Aim of the club and what ideas should be included in St Antony’s News. How we transfer video and sound – the varying ways. The different software available and why there are different choices. These objectives have no time limit as it will be dependent upon the speed of learning in the club. Attendance should be weekly, although the odd missed day will be acceptable. Failure to attend for 2 weeks will result in the place being allocated to someone who is able to fulfil the commitment. An end result should be a weekly new program (3-10mins in length) filmed and edited by the DMC which is posted onto the school website and the reception TV. The children will gain skills in teamwork, editing, film, utilise English skills when interviewing, improving their speaking when talking to the camera, Art when developing pictures to use in the broadcast, as well as a vast array of skills needed for the Computing curriculum.